This is GORGEOUS, Krista. I love these..oh, how can I decide on which to enjoy first? It’s so difficult. Lovely illustrations!! Very sweet and so suspenseful! We used to drive my mom crazy. She’d look into her box of candy and they would all have a corner bit off. We were looking for our favorite…. poor mom :o) I love the bright delicious colors and the timely solution to this week’s theme. LOVE IT! This is the GOOD kind of suspense. Very adorable. Gorgeous! 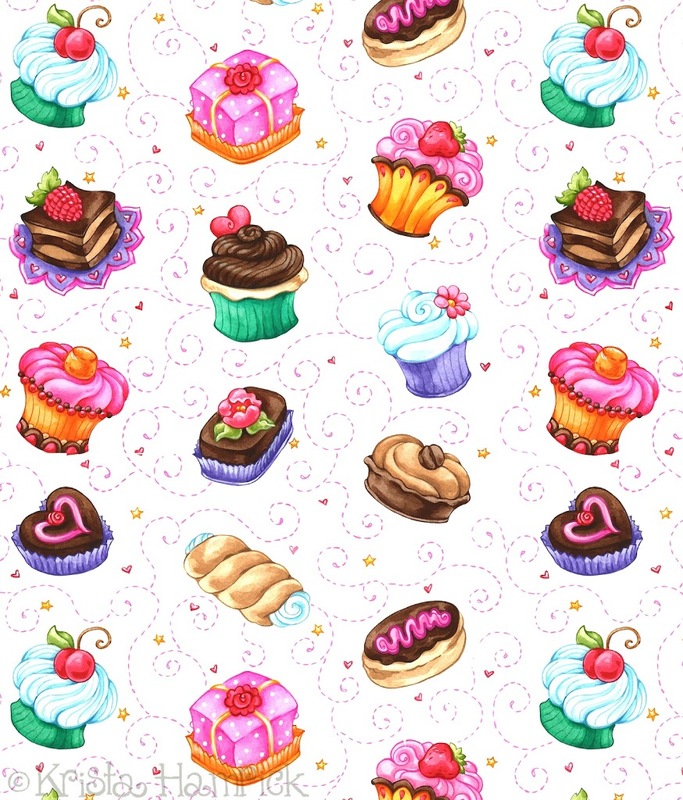 I love the sweets and the whole look of your blog, including the banner. Happy Valentine’s Day! These look soooooo delicious! And I am also wondering what would be inside these nice chocolats. Yummmm, the very best kind of suspense 😉 I like your Valentiney background!